Exfoliants are the most liked skin care essentials in my list. I like the way they remove deep pore impurities and show up almost instant result on my skin. But again, the only concern while selecting a suitable product for me is to look for non-drying ingredients in it that may mess with my skin type. 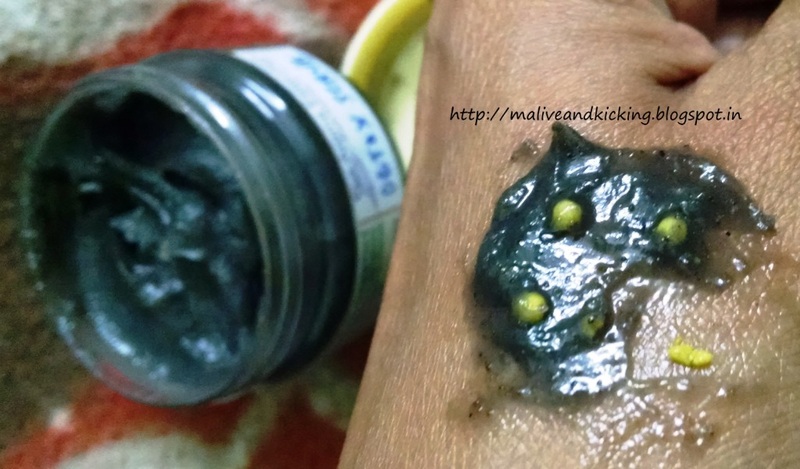 This Detox Scrub has dense grey-black in color with cute yellow vitamin infused beads in it. I believe the main ingredient Charcoal lends it this color. 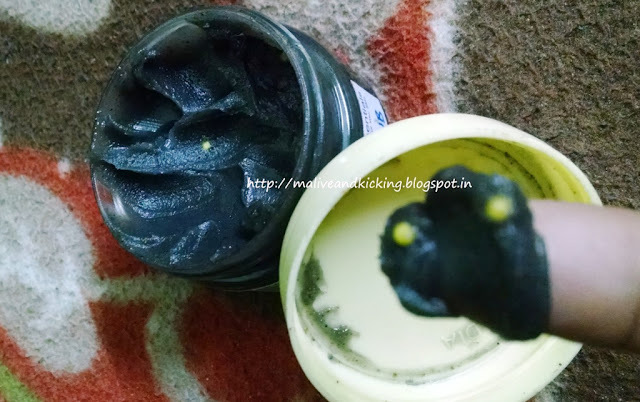 Charcoal is meant for effectively combating pollutants that our skin comes into contact with on daily basis. It draws out skin impurities that could eventually lead our skin to premature aging. Mixed in the formulation are finely milled Walnut Powder and Sea Salts. This refreshing combo sloughs away the dead skin cells very gently and brings the radiant skin out. I massage this scrub on dampened skin after a splash of lukewarm water on my face. The walnut content used in the scrub is finely powdered, but avoid brisk rubbing otherwise it may cause rashes. The yellow beads gives a light polishing feel while massaging the scrub, but I wish their number to be increased for much better feel. Rinsing this scrub off is slight time consuming. It doesn't come off easily with splashes of water, but needs rubbing it off the skin with water. To simplify the job, I use a wet cotton ball and wipe it off. The scrub has mesmerizing, invigorating aroma that I enjoy when its on skin. 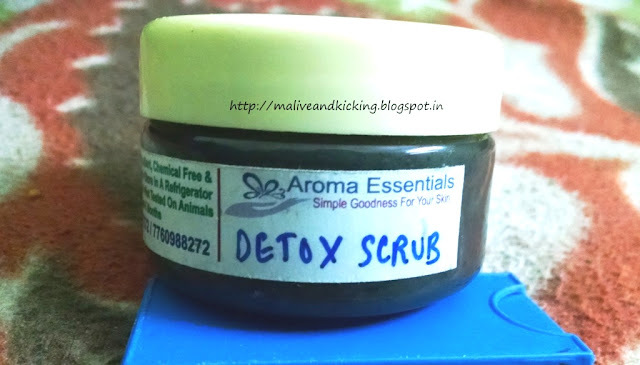 The scrub helps improving overall skin texture leaving my skin look glowing n healthy immediately. The product is a mild one, but I don't use any scrub on daily basis believing it may cause loss of elasticity due to excessive use. So I would suggest using it 2-3 times a week at the most. 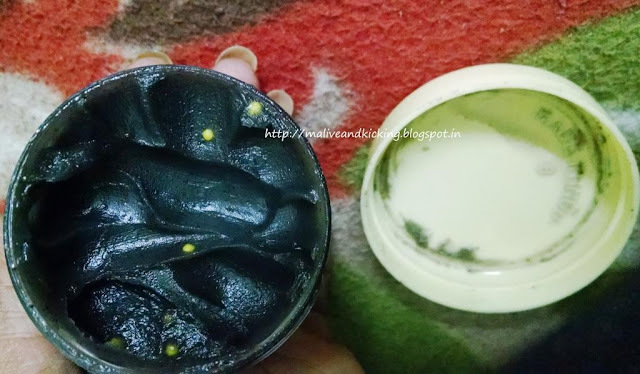 Another plus about the product is that it is suitable for use on any part of body that needs special attention. Last but not the least, all the products made by Aroma Essentials are cruelty free and chemical free. 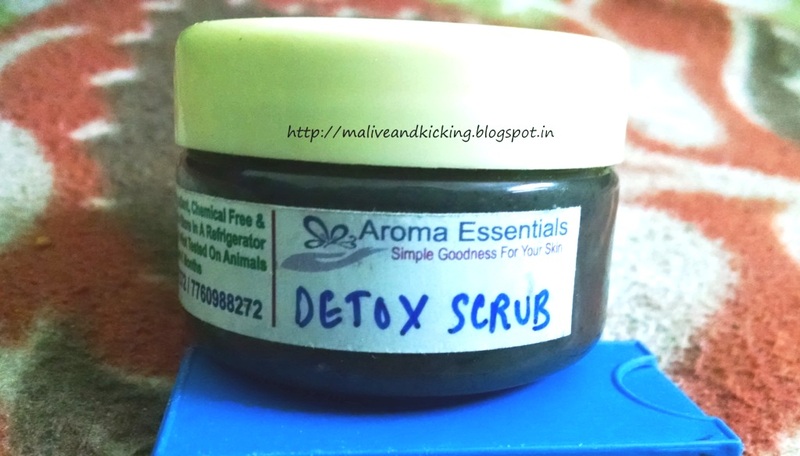 To conclude, I would say Aroma Essentials' Detox Scrub not only exfoliates the skin, but delivers required nutrients n vitamins to the skin. It relieves congested skin and let it breath to good health. A thumbs up from me for this excellent product !! Its too good genuinely :) I'm in love with it. wonder what the price is ?! The price are not mentioned on the packaging sent to me. U can always DM on their FB page and inquire :) The page link is provided in the post. I love black colored masks. May be they remind me the benefits of activated charcoal. A good one to cleanse your face. tHanks for sharing! The scrub sort of looks like tar. But the review is the opposite. Sounds like a must try.